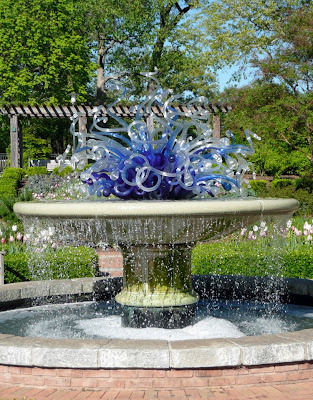 The sculptures above and below done by Dale Chihuly are part of the Atlanta Botanical Gardens. 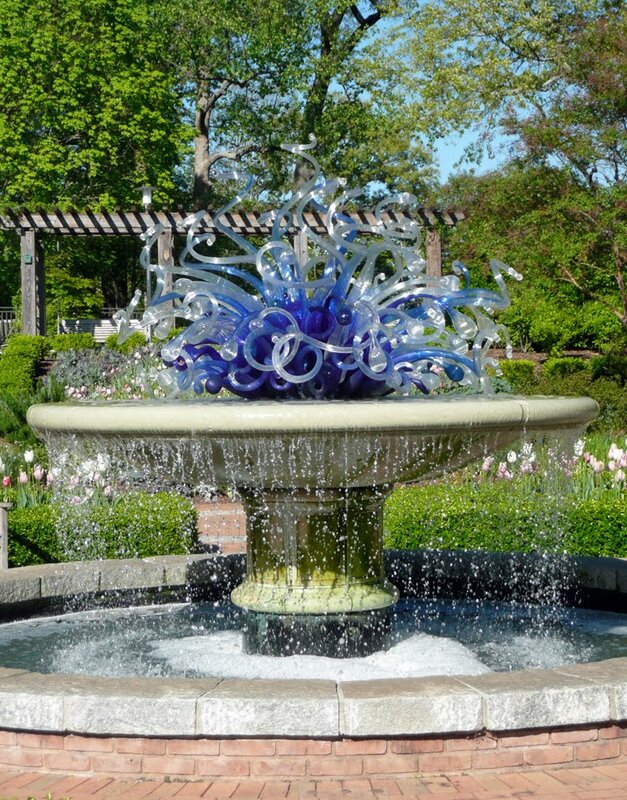 Chihuly is an amazing American glass sculptor whose work I have seen in Chicago's Garfield Park Conservatory, The Bellagio Hotel in Las Vegas, and the Milwaukee Art Museum. I believe this fountain, surrounded by the beautiful gardens, is my favorite. These pink and white tulips are a little past their prime. Just a week before they were in full bloom and quite breathtaking. Beautiful! What a lovely trip! I saw the Chihuly exhibit when it was in Atlanta. So awesome! I knew that the blue and white sculpture was still there, but didn't know the other one was. Thanks so much for sharing this! I love Chihuly. 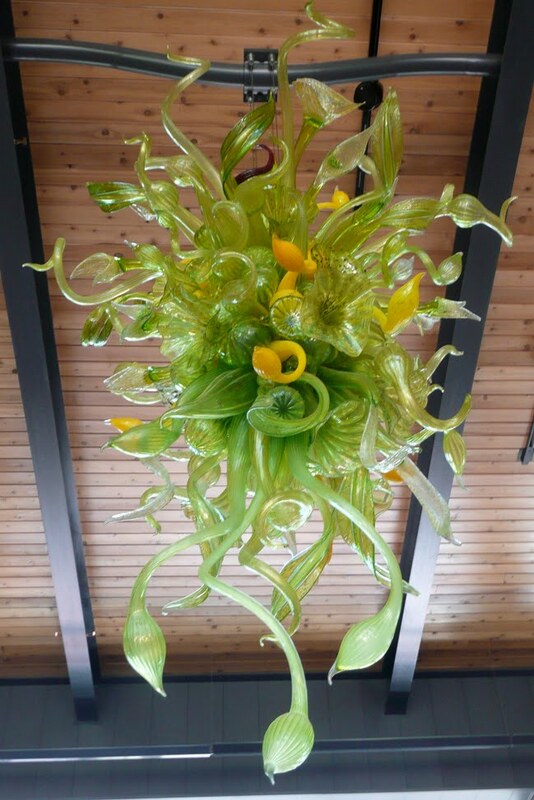 Years ago we went to Bermuda and there were huge Chihuly's in the hotel. I think it was called the Atlantis. 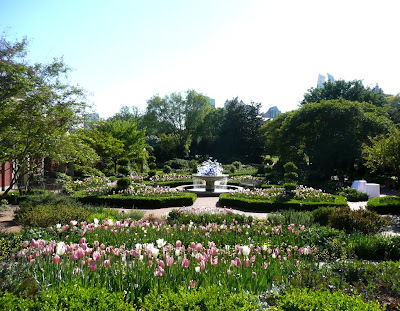 Last year (or the year before) we were at the Botanical Gardens in Arizona...Wow! The Chihuly's were designed to fit in with the cactus! 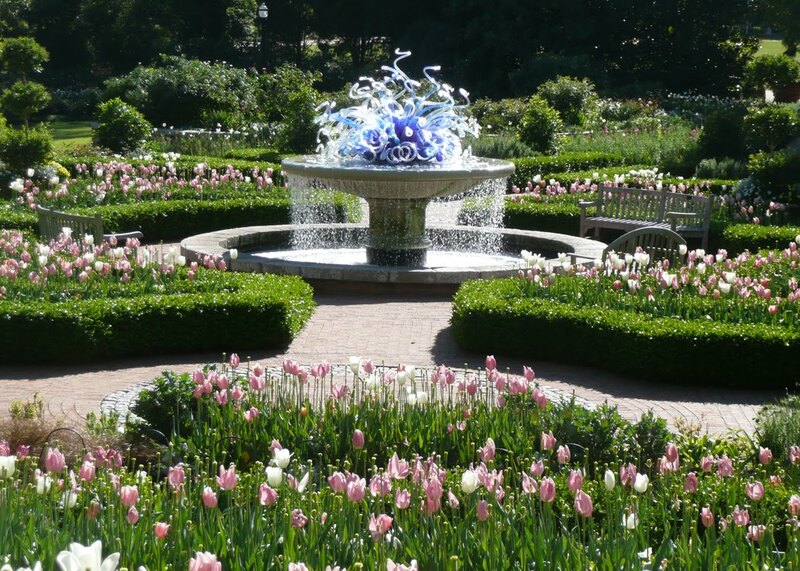 Thanks for sharing the pics of the gorgeous fountain. 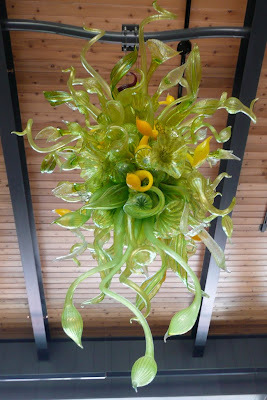 A few years ago I saw the awesome Chihuly chandeliers at the Mayo Clinic/Minnesota. A feast for the eyes. This is so pretty! I love gardens walks. And I love pink tulips! And Chihuly is amazing! What a wonderful day you had!